The Domestic Violence Services Program has counselors in place to assist victims as they come in to file for orders of protection, for victims seeking orders against non-intimate relationships. For Orders of Protection against intimate partners, please contact the Family Safety Center at 901-222-4400. 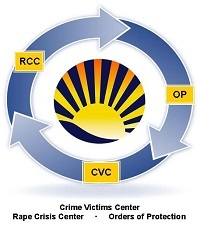 To get more information about the Domestic Violence Services Program, call the Crime Victims Center at (901) 222-3950.